Ever since Flipper captivated television audiences in the black-and-white sets of the fifties, dolphins have been among the most beloved animal stars. If you’re one fan of dolphins who’d rather watch them on the big screen, there are plenty to choose from. Besides Flipper, the archetypical motion-picture dolphin, there have been a few other small-screen shows starring dolphins. Dolphin Cove, in 1989, introduced a man and his son and emotionally-disturbed daughter who move to Australia, where the daughter develops a special rapport with two wild dolphins. Day of the Dolphin stars George C. Scott and a pair of dolphins his character has trained to speak simple English and perform complex tasks. The dolphin research, though he doesn’t know it, is being funded by a shadowy organization who intend to use the dolphins for nefarious purposes. Though the plot is rather preposterous, the movie does ask an important question about how dolphin research may be exploited. Hitchhiker’s Guide to the Galaxy In both the book and the movie Hitchhiker’s Guide to the Galaxy, dolphins are represented as much more intelligent than humans. And though they do their best to warn humans about the coming cataclysm by chirping, squealing, and whatever else they can think of, humans just don’t seem to understand them. And at last the dolphins take flight themselves, leaving the humans to their doom. 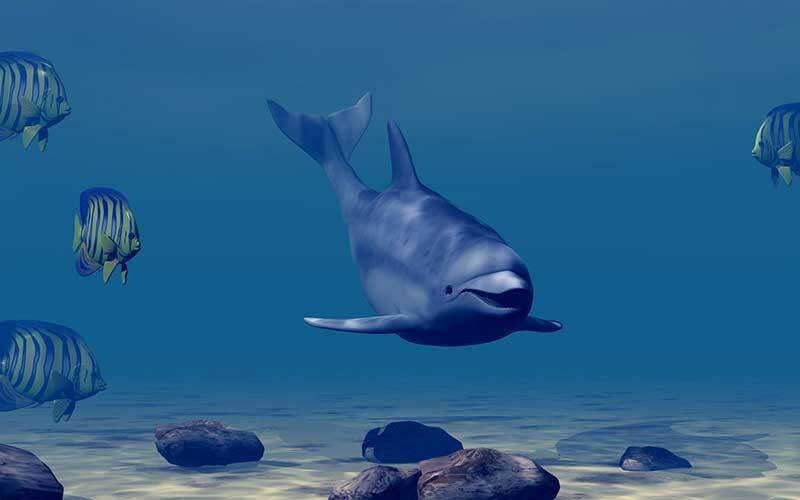 Though dolphins play a supporting role in the movie, the scenes of dolphins playing in the beginning of the film are wonderful. 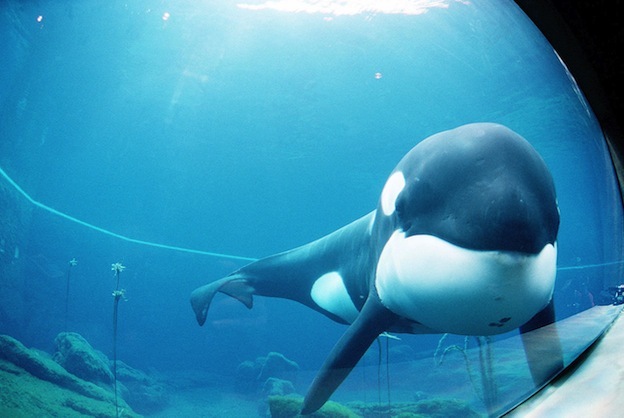 Keiko, star of the film Free Willy / Photo courtesy of U.S. federal government. This movie was made by researchers following dolphins in the wild, a much more strenuous and time-consuming task than studying captive dolphins. The movie covers wild dolphins from the Bahamas to Patagonia, and examines topics such as how they live and travel, how dolphin families and pods form, how they communicate with one another, and how humans have impacted their lives. For anyone interested in dolphins, it’s one of the most fascinating films you can see. Dolphins also show up in animation, in movies like The Incredible Mr. Limpet. And this may be a better way of including dolphins in film. Though dolphins are incredible creatures which are fascinating to watch, they are also sensitive to the environment. No matter how well we treat captive dolphins, they will see a drop in life expectancy, by some estimations as much as a three-quarters decrease. Before going out to see films including dolphins, think about the effect it has on the dolphins, and ask yourself if it’s worth seeing them if it means they will live in captivity. And it may be worth it. With films like IMAX’s Dolphins, a secondary benefit is in the education given to people who might otherwise be ignorant about these grand animals. The captivity of a few dolphins may lead to the saving of thousands from death.